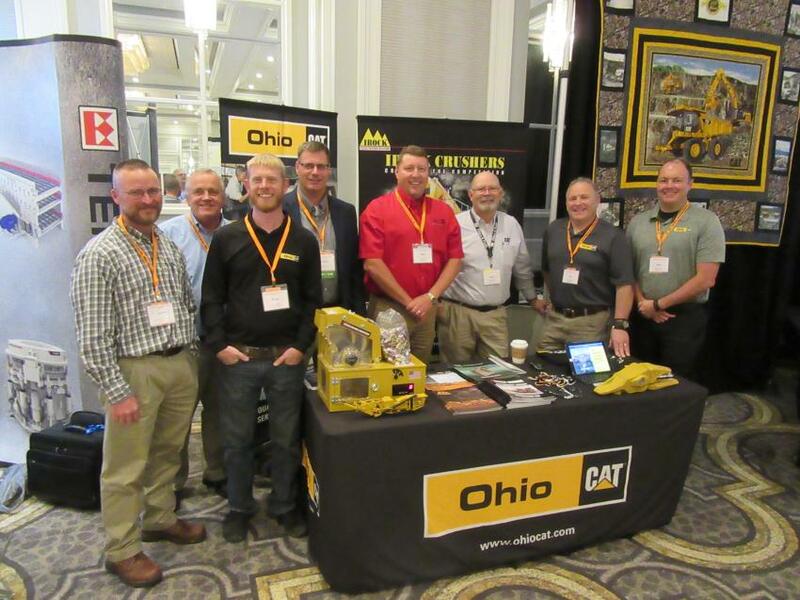 This year's Ohio Aggregates & Industrial Minerals Association (OAIMA) Annual Meeting and Trade Show, held Nov. 14 to 16 at the Hilton at Easton in Columbus, Ohio, marked the 100th anniversary of the association. The event opened on the evening of the 14th with a 100th anniversary dinner sponsored by Barrett Paving Materials Inc. and Eastman & Smith Ltd. Official business started the next morning with the general session, which included a welcome from OAIMA President Jim Meckstroth of Barrett Paving Materials and announcements from OAIMA Executive Director Patrick Jacomet. The featured speaker at the luncheon was renowned college football coach and inspirational speaker Bill Curry. 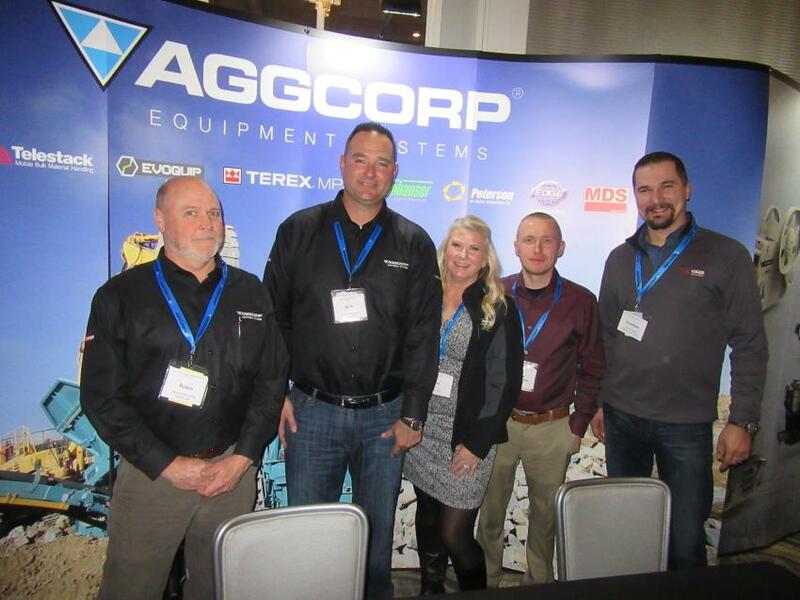 Educational sessions focused on topics ranging from industry-related health and safety issues to a look into the future of Ohio's aggregate industry. Attendees also had the opportunity to meet with representatives from local equipment dealers, national manufacturers and product and service providers in the trade show area during breaks throughout the day as well as during the Thursday evening centennial celebration reception, which featured an OA-PAC live auction conducted by Gary Seybold of Ritchie Bros. Auctioneers. With its origins dating back to 1918, the OAIMA is a trade association representing the interests of Ohio's mining operations and those involved with the production of construction materials, such as sand, gravel, crushed stone and slag, as well as salt, clay, shale, gypsum, industrial sand, building stone, lime, cement and recycled concrete. The association serves its membership through educational and scholarship programs and outreach to the community and governmental officials while providing a forum for interaction among members. 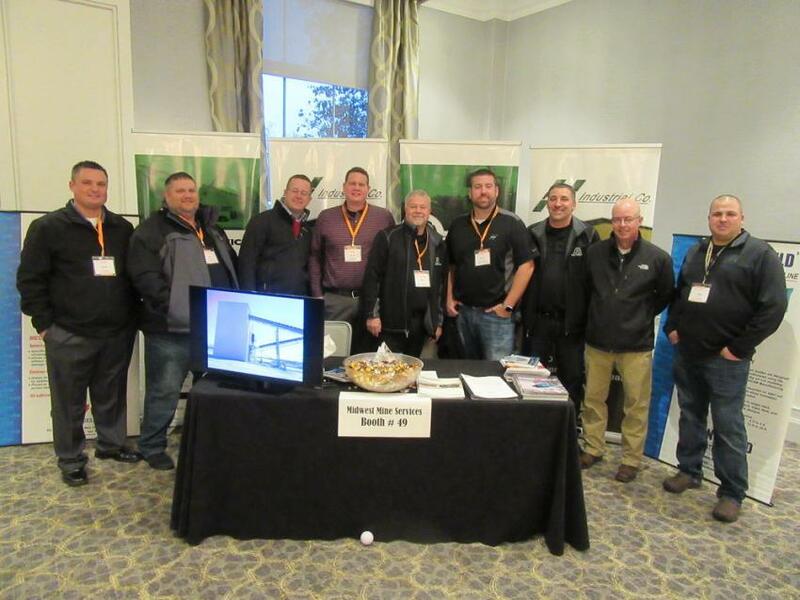 (L-R): Midwest Mine Services/Hall Industrial’s Nick Barthel, Bob Keaton III, Tim Meighan, Ryan Keaton, Bob Keaton, Scott George, Jamie Logan, Mike Parsley and Tim Kidd were ready to discuss the equipment and services needs of attendees at the event. 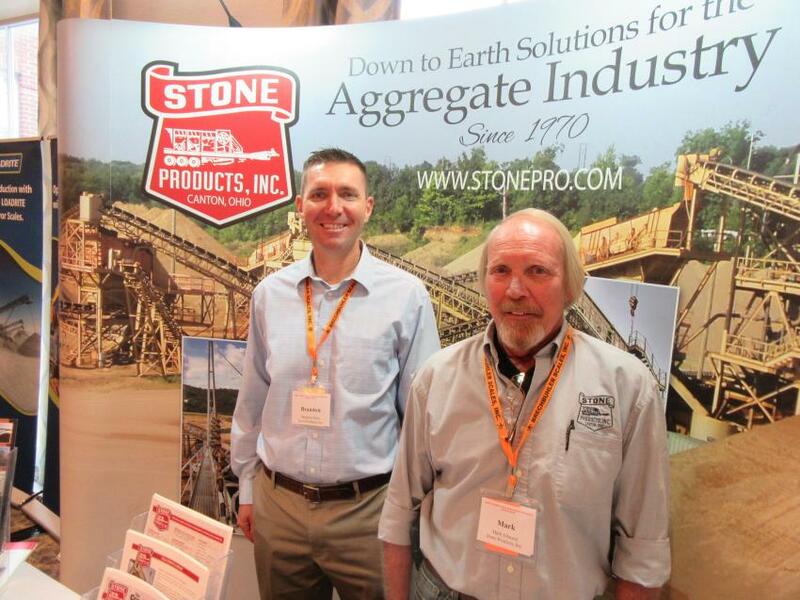 Stone Products’ Brandon Mills (L) and Mark Johnson greet attendees who stopped by to visit at their tabletop display. 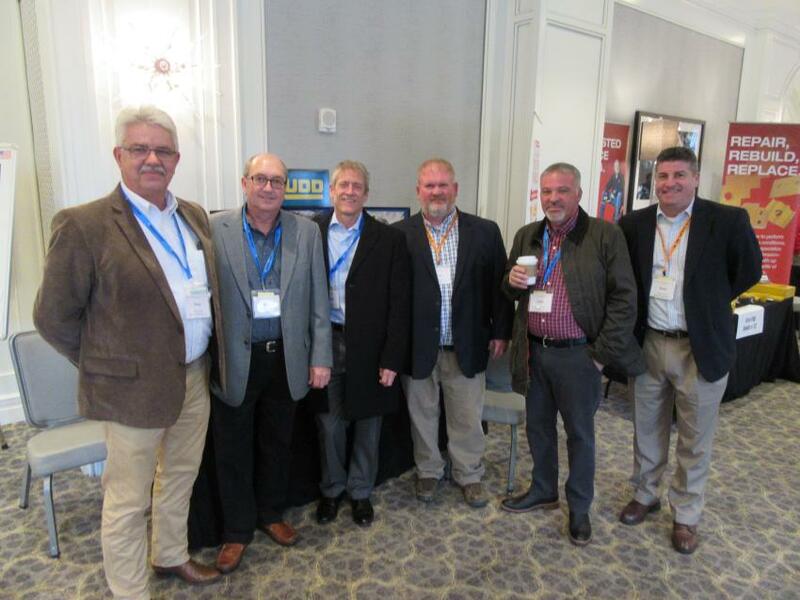 (L-R): Stan Archer and Rick Ziemer of Sidwell Materials caught up with Rudd Equipment Company’s Martin McCutcheon and Josh Poston; John Crawford of the Shelly Company; and Rudd Equipment Company’s Brian James. 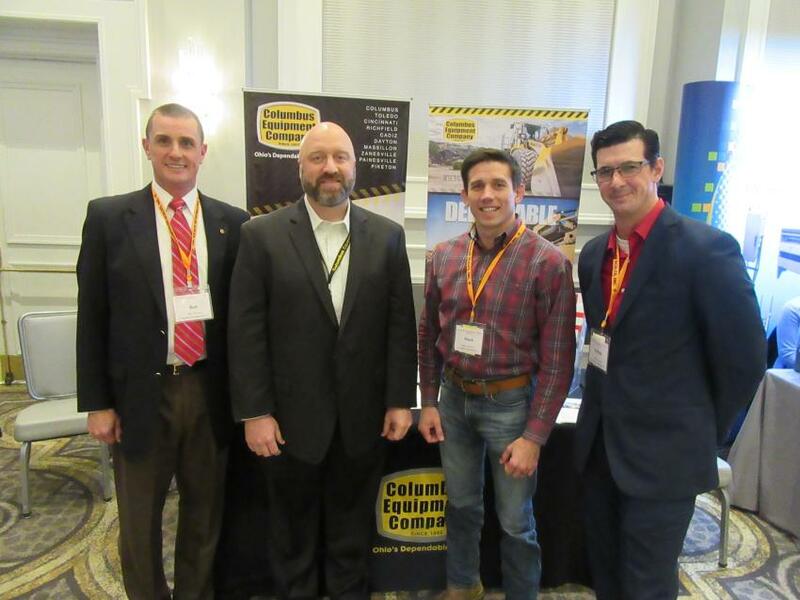 (L-R): Columbus Equipment Company’s Bob Stewart, Jeff Richards, Mark DiSalvo and Joshua Lovett welcomed the opportunity to discuss the company’s lineup of equipment geared for aggregate applications. (L-R): Ohio Cat’s Aaron Mittendorf, Ned Herald, Kyle Bodkin, Chris Harris, Mike Little, Brad Friend, Ed Blasini and Mike Cullen welcome attendees to the reception event. 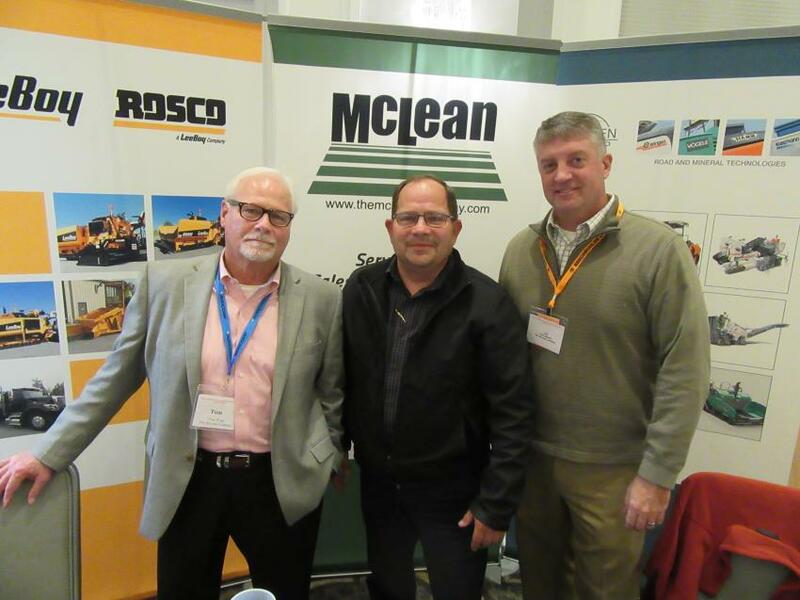 (L-R): The McLean Company’s Tom Wade, Scott Riffle and Kirk Sidwell were on hand to greet attendees. 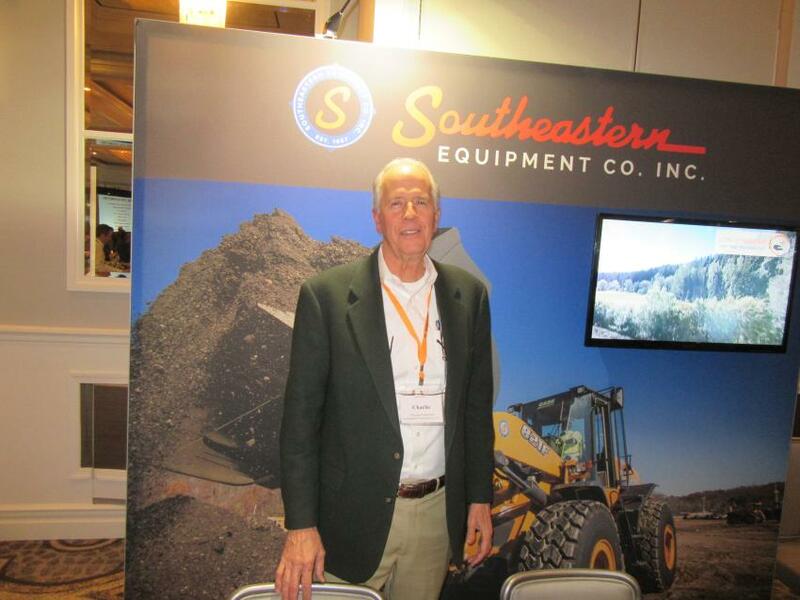 Southeastern Equipment Company’s Charlie Patterson welcomed the chance to catch up with friends at the event. 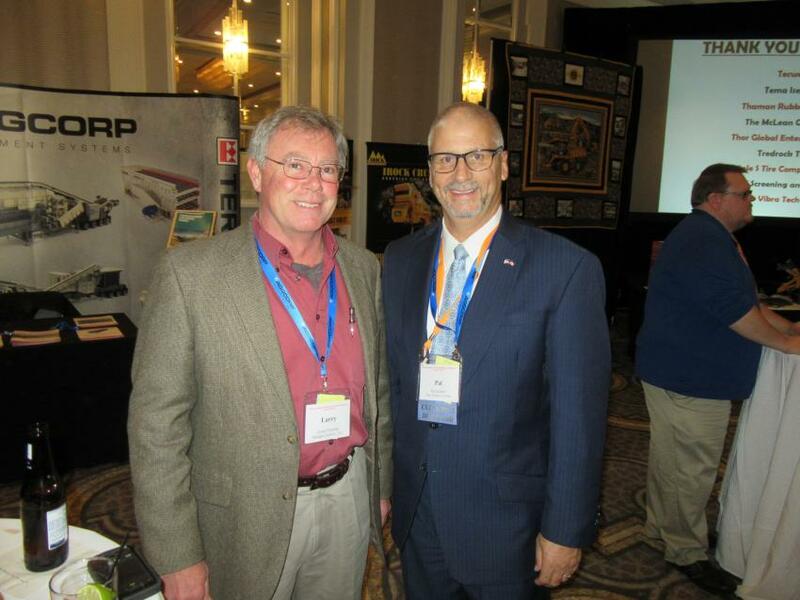 Larry Fleeman (L) of Dredge Central LLC speaks with OAIMA Executive Director Patrick Jacomet at the reception.